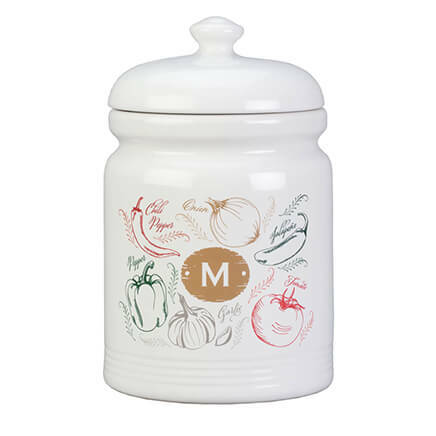 Add 2 Food Keepers to Cart, Get $2 Off each! I was very amazed at how my pie keepers was oversized and deep i ordered 4 and I'm very happy tjat I did. I am the family pie maker & this makes it extremely easy to carry a messy pie (like apple) without the ingredients spilling. 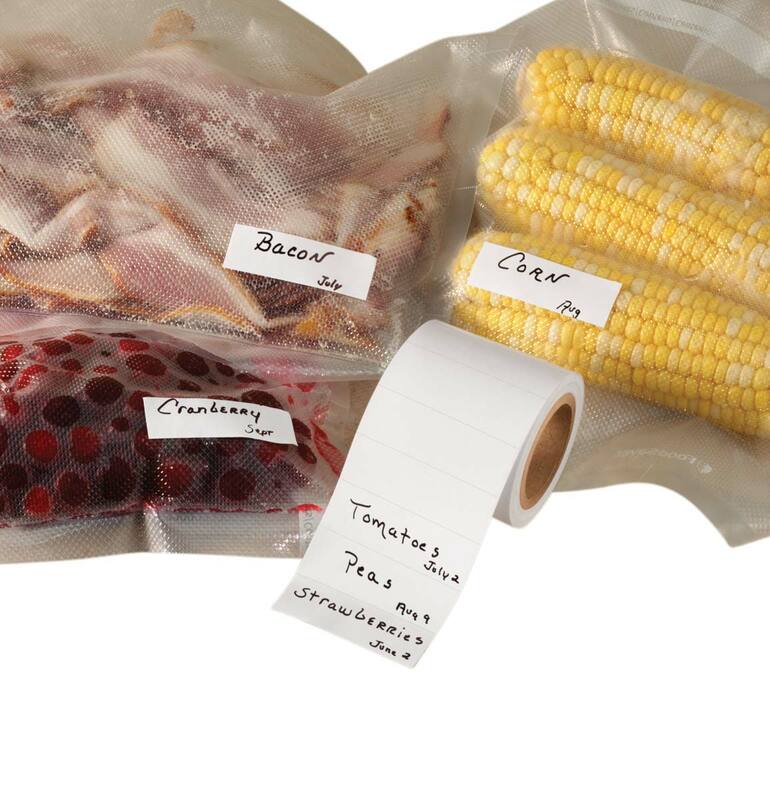 Great for keeping left overs - if there are any! great for storing and transporting pies. Nice and deep and large, which is great because I use only 10" pie plates and the pies are usually quite thick . I love them ! I love this- I never realized how inconvenient it was to try to wrap pies. I'm extremely happy. It took quite a bit of hunting to find these pie keepers. I'm thrilled to have found them. They are exactly what I was looking for. They hold my 9" Pyrex pie plates with handles perfectly! They are high enough for cream pies topped with mounds of whipped cream. I usually make two pies at a time (big family). These stack on top of one another and save fridge space. They didn't break the bank either! If I could change anything about them I would not have the lid attached to the bottom and I would make the clasp easier to use. ....but I am nit-picking. I still give them 5 stars! 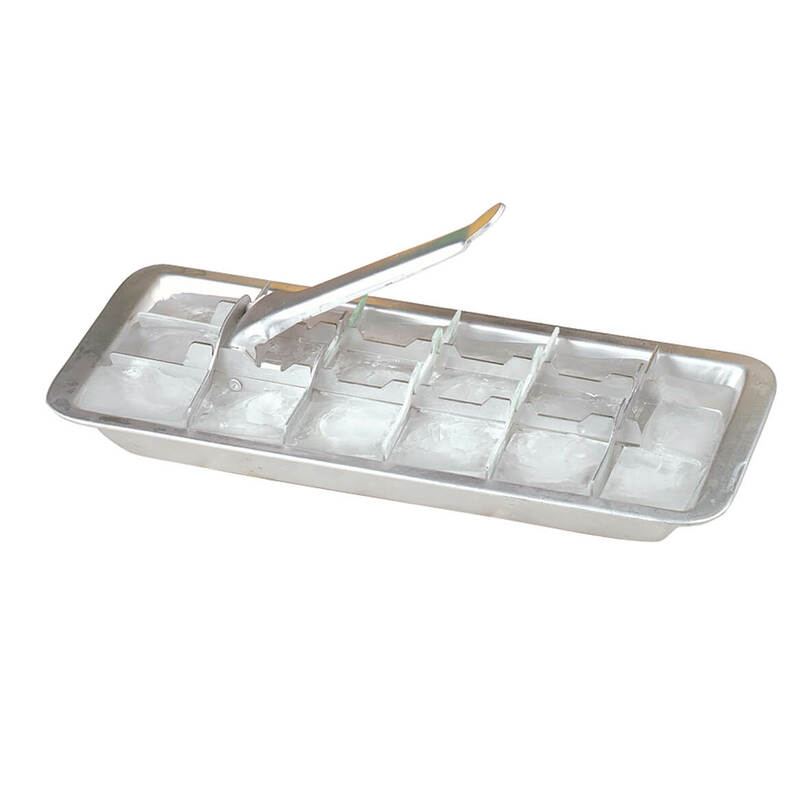 These are used to store cheesecakes in the freezer. They're well made, close effortlessly and stack perfectly! Have not used as yet but product is sturdy and closes tight. I bought these to use as gifts. I have one that I use regularly. Pie Keeper is a Keeper! The two I ordered arrived in time for me to use for transporting pumpkin pies to Thanksgiving dinner at my sister's home. The flat top is perfect for stacking the pies and conserving space without the pies getting damaged. Great for storing the cut, yet uneaten, pie in. My sister loved them too and kept one of mine! Guess I'll be ordering more. This was just what I needed to take a pie to a party. My mother has one of these pie keepers and I bought one for myself and for a friend. We love it. We can transport pies, cookies, cake, etc. without worrying about freshness or damage. 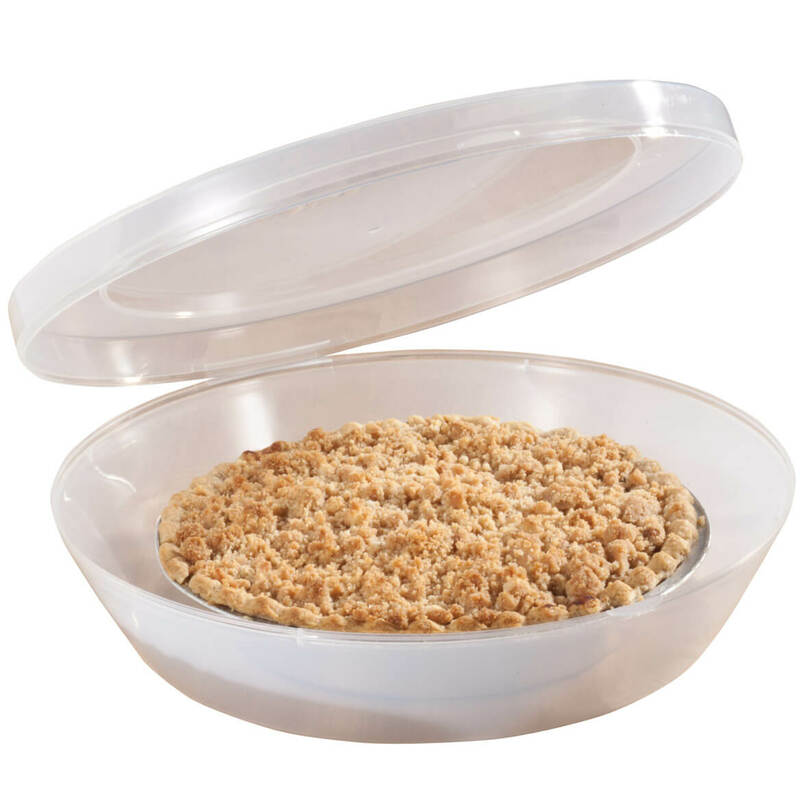 This pie carrier is so handy to take a pie anywhere and it is also great for storing pies in the refrigerator. It keeps the pie fresh. Is easy to open and easy to clean. I've bought at least 20 of these pie keepers as cheesecake freezer storage. They're turned upside down and a cheesecake fits perfectly. The seal is good and they're easy to open and close. YES I WILL ORDER THEM AGAIN,IF AND WHEN MY 5 WEAR OUT!!!!! BIGGER THEN I THOUGHT. SEALS NICE AND TIGHT. BEST PIE COVERS I HAVE EVER HAD. Keeps my pie fresh in the refrigerator. Originally bought to house apple pies, I soon found out that it's very handy to store all kinds of bakery or just about anything else you can think of. 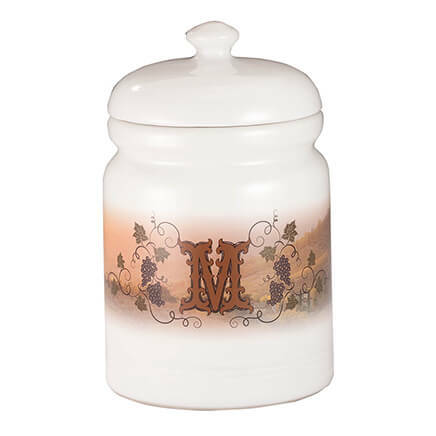 It's nice and high domed, can layer pieces on top of each other, and the tabs to keep it closed and air tight work just as they should, easy to open and snap shut. This is a good addition to my kitchen counter. Nice see through design, well made for the price. Probably am going to buy another one soon. I bought three of these. Glad I did. Much better than plastic wrap or foil on your pie. They stack. Mine open and close without any problem. I hand wash mine. I think they'll last longer that way. 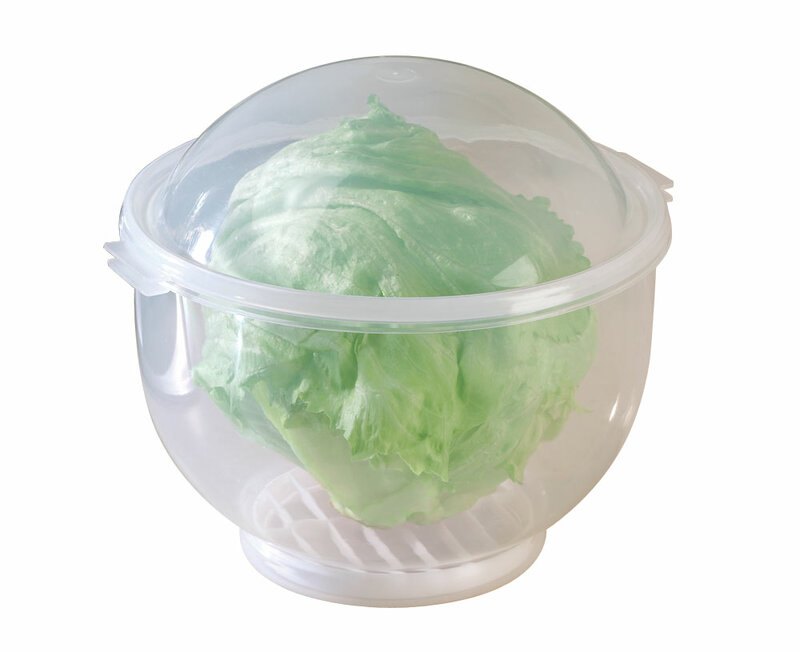 This is great for pies and other foods (salads) and the lid is easy to get on and off. I have just received this. It is a nice size, large enough for a "tall" pie. I have had many pie 'safes', but non that did not mess up the top layer of high crust covered pie. This works great! I needed this for the holidays. I like this product. Works for cupcakes too. Love, Love, Love these pie keepers! We like pies at our house and I didn't have a good place to store leftover pie. I use it for this only and I really like the product. This keeper is a keeper.. Most pie keepers seem to break at the "hinge" but this one appears to be strong. They are great for transporting. This perfect for transporting pies to keep them clean, fresh, and no flying critters dive bombing into your sweet confection. This is also great for me when I take a country French omelet to work; no more wasting aluminum foil. I could not rate whether this pie keeper is dishwasher safe as I don't have one. The only dishwasher in my house is me. I make deep dish pies. This item is large enough for ANY pie! The hinge is sturdy and it is thickly made. I am extremely HAPPY with this purchase. And so will you! Sent leftovers home with my daughter in this container. She called me to ask where I got it. She purchased a couple. She took items to work and coworkers asked her where she got hers. I ordered some for my daughter-in-law too. Nice size and deep enough so things don't get crushed. Great value for this price! So glad I bought this. The apple pie I just made fits in the pie keeper perfectly. This will work well for when i take a dessert to a party or outing. After years of using plastic wrap to cover my pies, I bought several of these and am so glad I did. They work very well and are eco-friendly because they are, of course, reuseable! I bought this as a gift, but I liked it so well, I may order myself a couple. How wonderful to carry a pie to other locations and no mess up the top with a plastic wrap. Plenty of room for even the highest pies. Great product and easy to take pie out when arriving at destination. I think it's better than useing plastic wrap. Pies stay fresher and don't pick up the frig. smell. I will buy another for the holidays. This pie keeper is awesome. I now have four of them. I bake lots of pies for family dinners here and away. They keep pies fresh and safe and makes it so easy to transport them. They are very strong and sturdy, and large enough for any size pie. I can keep my pies piled one on top of another, and it saves sooo much room. I am very happy to have found these. I have looked all over for a pie carrier that had a lid and was easy to transfer. Also almost all sizes fit this perfect. 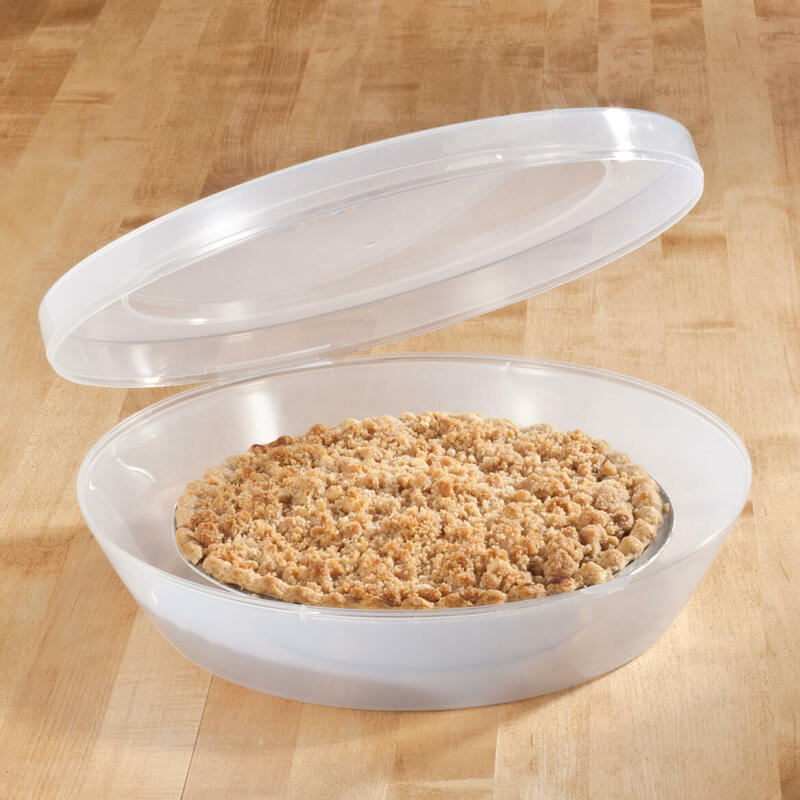 This product will keep your favorites pies fresh, and easy to transport. By using this product you help to save the envionment of unwanted garbage such as aluminum foil. Save the trees and the planet! Will use in the house & when I take things to church. I bought this for pie storage, but quickly discovered that it holds cheesecake perfectly. The cheesecake stays fresh and is not marred by plastic wrap or foil. A nice product that is well made and easy to store. It's not often empty, but when it is, fits into my storage cabinet nicely. I purchased this product several years ago and still have the original. I am coming back for more (again) as several have been left behind over the years because the hostess liked it so much. I use it for muffins, deep dish meat and fruit pies, single layer cakes, etc. I found the hinge VERY durable in spite of the fact that it did not impress me much when I received the item. The seal is airtight and very secure. Pies stay fresh and are easily opened without the hassel and waste of foil and films. It takes room to store unless the pie plates are stored inside. However, cutting the hinge would allow nesting. I suggest tin snips or heavy kitchen shears as this plastic is tough enough to ruin a good scissor. I have put a single layer cake w/plate and a 8x8 square pan with cake. Plates of cookies. It has the size for many uses besides a pie. A must have. A sturdy, easy to use carrier. It provides a safe way to carry pies to our friends. We use them at the restaurant. Easier to stack pies in the refrigerator so less space is taken. Is to hold pie that will travel with the toppers planning to use with it. The price and I needed one. I bake pies frequently and needed something to store remaining in. I purchased two from you a while back and have used them a lot. I've had one before and loved it. Keep pies in good shape. It handy for keeping your pie fresh and keeps your fridge free of pie crumbs. instead of wrapping the pie in foil, and having to keep opening and closing the foil, i thought this would be good for any pie. I've been searching for something to keep my pies in so they do not grow old so quickly. I bake a lot of pies. These containers will keep them fresh without messing with plastic wrap or alum foil to put in refrigerator. May need to order more for gifts. Thank you for your service. I had one previously and really liked it so wanted another. I like things in containers so they stay at the temp I want. No more refrigeration without covers. I am hoping that this will keep a pie fresh, and also will be a way to store two pies in the refrigerator without the top pie squishing a pie beneath it flat. A handy storage for pie. This will hopefully keep cut pie fresher and free from flies or insects in or out of doors. A better option for covering a pie than using aluminum foil or a cake keeper. I already purchased one and love it, so I need more. I HAVE TO BAKE 13 PIES EVERY THANKSGIVING AND THESE ARE PERFECT FOR TRANSPORTING. MY NIECE THINKS THEY ARE GREAT, SO I'M ORDERING THESE FOR HER. Need a couple of pie keepers,these were very reasonable. I"ve been satisfied with other items from MilesKimble before and bought this for Have Pie Will Travel. To keep my pie from drying out,to stay moist.. I am actually going to use this to store paper plates. I've finally found a pie keeper for that will accommodate a 9 1/2" plate. Always seem to have pie around and no good way to store. Because it has its own lid, it was also a good reason to purchase. I used to have two pie keepers, but have misplaced one. When I'm in baking mood, I often make two pies at time, one to eat other for freezer. This way I have a container for each. Good idea. Don't have one. Needed container. Stocking new home. I have 2 and needed more to transport pies to scouting events! I have been looking for a nice pie carrier and this looks like it is just what I have been looking for. Is the plastic used for the pie keeper bpa free? BEST ANSWER: Thank you for your question. The Pie Keeper is BPA free. We hope this information will be of help to you. BEST ANSWER: Lacks 1/8 " being 3 1/2" tall. You will love it!! The pie keeper is 3.25 inches tall. What is the diameter of the bottom? BEST ANSWER: I measured and it is 9.25 inches wide/diameter. I believe it is 10in. Will this hold an 11" pie dish? BEST ANSWER: Yes, it measures just over 11.5". We love that the cover is attached. DO YOU STOCK A WEDGE SLICE PIE KEEPER? BEST ANSWER: Thank you for your question. Unfortunately we do not have an item for just the wedges. We hope this information will be of help to you.